Here at Family Law Group we provide a range of legal services to meet your needs. Call our office now on (07) 5499 2900 and our friendly staff will arrange an appointment for you to meet with one of our qualified solicitors to help with your matter. 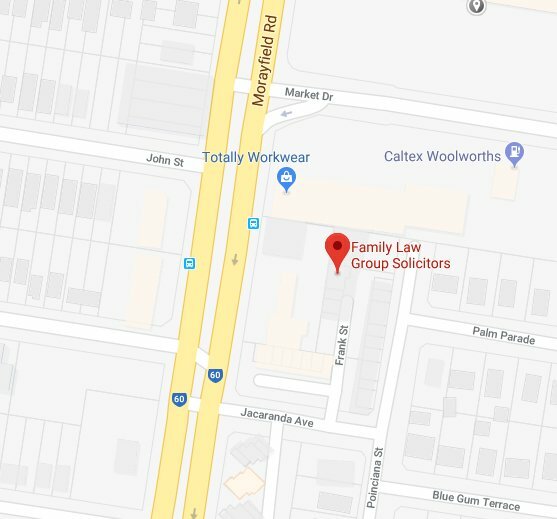 Our offices are conveniently located in Morayfield/Caboolture South and Fortitude Valley. Knowing what your options are is the first place to start. You can see us for an initial consultation and talk through the possibilities, potential outcomes and likely costs. This gives you an opportunity to make informed choices and (in many cases) negotiate directly with your former spouse to attempt to reach an agreement. If we represent you on an ongoing basis, advice is a must. You should know at all stages of your matter what the likely range of Court outcomes is. You should know how that compares to any offers of settlement made by another party, and you should know what offer(s) of settlement you could make to resolve all issues. Sometimes we assist people who are representing themselves by providing advice along the way, or assisting in the preparation of documents. This has been described as “un-bundling” legal services. We can work with you and provide the level and scope of assistance that meets your needs. For general information about many areas of family law, check out our Information and Brochures Tab. If you have reached agreement with your former partner/spouse about financial matters or parenting matters then we can prepare that agreement so that it is binding. This may include a consent order, parenting plan, financial agreement, or child support agreement. Details of the types of agreements available are explained at our Information and Brochures Tab. Attending Mediation / Family Dispute Resolution with you. For more about how we negotiate see Our Mission. Hayley Cunningham is our primary collaborative practitioner. Hayley can talk you through how collaborative practice works, complete the intake process with you and attend with you at the meetings. Before undertaking a collaborative process, careful consideration must be given to whether it is right for you. For more information about collaborative practice see our collaborative practice page. If your matter is in Court, or there are no options left other than to commencing Court proceedings, we can represent you. We can help you in all Family Law proceedings in the Family Court of Australia and Federal Magistrates Court. We can also assist you in proceedings in the Magistrates Court of Queensland, including applications for a Protection Order. We strive to provide the highest quality legal services to you. 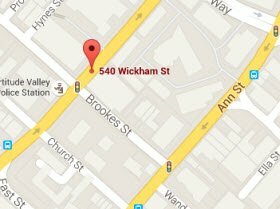 Hayley Ritchie Solicitors Pty Ltd A.C.N. 53 134 456 385 . Liability Limited by a scheme approved under professional standards legislation.